Livistonia (Livistona spp. ): growing, planting, caring. An Asian, or Australian palm, and a lover of both light and water. Scientific name : Livistona spp. Full description for Livistonia spp. not yet available. This identification is not necessarily obvious. The genus Livistonia includes several species of single-stemmed palms, surmounted by a crown of dead leaves, dry and pungent. The leaves are at the end of a very long spiny petiole sizing 0.8 to 1.6 m for adults. The fan-shaped limb consists of several linear, partially welded lobes. The flowers are grouped into panicles, and bear 3 petals. 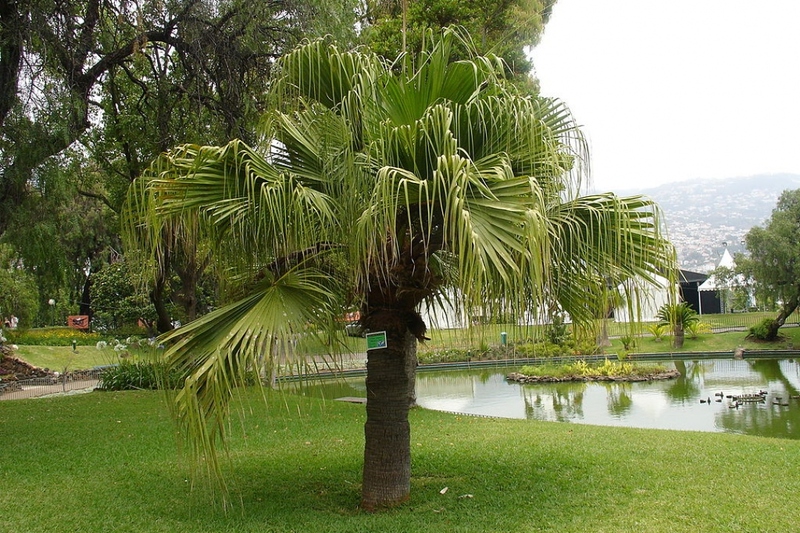 Avoid planting these palm trees which originate from warm areas outside, unless the temperatures never drop below 13 ° C in your garden. In pots, plant in loam mixed with potting soil, and put gravel at the bottom of the tank for good drainage. Choose a pot as large as possible - several tens of liters, because the Livistonia is a tree. Place the pot in the light, without direct sun in summer. In winter, it appreciates all the light available. Palm trees of the genus Livistonia like water, as they usually grow at the edge of streams in the nature. Water once or twice a week, as soon as the topsoil dries. This rhythm goes in winter up to every 8 - 12 days. In June, take outside your sheltered pots: find a them a location protected from the wind! Watch for red spiders and mealybugs. The former benefit from an absence of leaf cleaning. If you see any, clean your Livistonia with clean water. Mealybugs can be removed with black soap, which picks them up from the leaves. Then rinse your livistonia with clear water.